There are movies like Erin Brockovich and An Officer and a Gentleman that in the hands of different filmmakers would be soap operas and not films that receive Academy Award nominations. Out of Africa belongs in the same category. A woman is attracted to a man, but since the feeling is not mutual, she settles for marrying the brother of the man she loves. As an older single woman (for the times) it was a form of refuge. And from there the story unfolds. “I’d known about this book Out of Africa for years, as almost everyone in Hollywood had, and I was not the first director to try make it. Several directors had attempted it and there were several screenplays. When I first went and looked into the vaults at the studio there were at least five other screenplays that had been attempted. The difference we had was we had Judith Thurman’s extraordinary biography, Isak Dinesen The Life of a Storyteller to work with. And that gave us something that none of the other filmmakers had the use of. Kurt Luedtke who wrote the screenplay had written Absence of Malice, a film the two of us did earlier, and he always wanted to try this and I warned him that it had been attempted before. I think part of what helped him to lick it was the fact that he was new to the form and absolutely not intimidated by the fact that it had been tried so many times before. And the combination of his grasp of the material and his perceptions and then the insights into her life that Judith Thurman gave us at least allowed us to get a screenplay out of it. There were a lot of cooks in the kitchen, but the solo screenplay title card and the Oscar (Best Writing, Screenplay Based from Another Medium) went to Luedtke. Did you know that Three Days of the Condor was based on Six Days of the Condor? That is the movie Three Days of the Condor was based on the novel Six Days of the Condor. Why do you think the screenwriters Lorenzo Semple and David Rayfiel compressed the novel by James Grady? I haven’t read any comments by the writers, Robert Redford who was the star, or by director Syndey Pollack on why that was done, but I have a pretty good hunch. Movies do not handle long passages of time well. More often than not films will compress time for the sake of moving the story forward and keeping your interest. 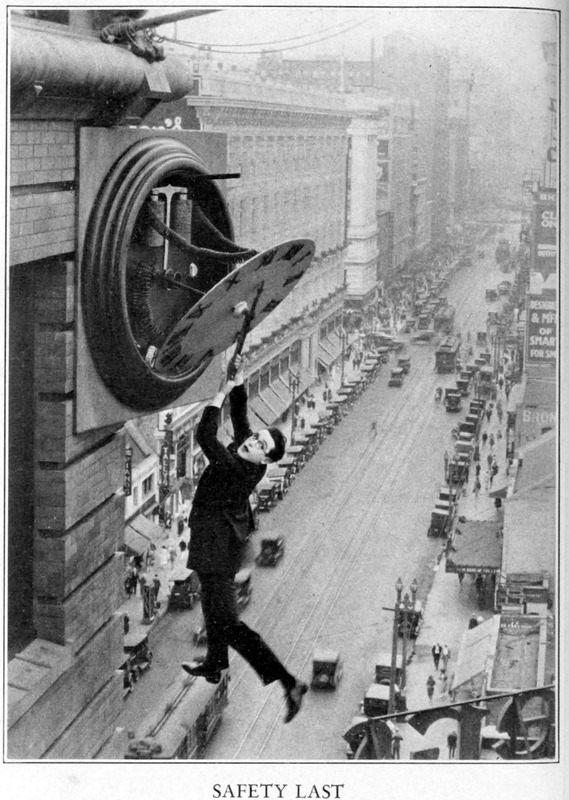 Lew Hunter in his book Screenwriting 434 says when you use a time-lock “you inject an urgency into your story that can give it additional drive to heighten audience involvement and anxiety.” Of course, the more organic to the story the better. In a talk I heard John Updike give at the University of Iowa earlier this year he spoke about the limitations that film has in showing the passing of time. When he’s writing a novel he can take a person from a baby to old age and it’s no problem for the reader, but in movies it doesn’t work as well. He explained that if your main character is a child for the first 30 minutes of the film they have a certain amount invested in that person and to switch to another person is a jolt. This may be one of the problems Updike is having in bringing the story of Olympic wrestler/famed college coach Dan Gable to to screen. Gable had a great high school, college career before winning a gold medal in the Olympics. Then he went on to win 10 national championships as a head coach at the University of Iowa before retiring. Then he came back as an assistant coach last year to help Iowa win another national championship. How do you show that in an hour and a half or two hour movie? And even if you found a way, can you really have the same person play Gable as a 15-year-old high school freshman and Gable as a 63-year-old coach? See the problem there? Maybe the digital world will help this in the future and it will be interesting to see the effect on Brad Pitt in The Curious Case of Benjamin Button where he plays an man born in his eighties and ages backwards. If anyone can pull that off it’s David Fincher & Eric Roth. (Didn’t that once happen on a Star Trek episode?) But it’s still Brad Pitt we are investing in. Of course there are other exceptions, and generally Hollywood has found some creative ways to deal with the passing of time when needed. For instance, in Forrest Gump we are introduced to Forrest (Tom Hanks) as an adult in the opening scene and while we see Forrest as a child the majority of the film is as an adult. We are invested in Tom Hanks. In The Natural they chose to have Robert Redford play both the thirtysomething Roy Hobbs as well as the teenage Roy Hobbs. They used soft lighting, shadows (and Redford’s youthful look) to create believability for the audience.